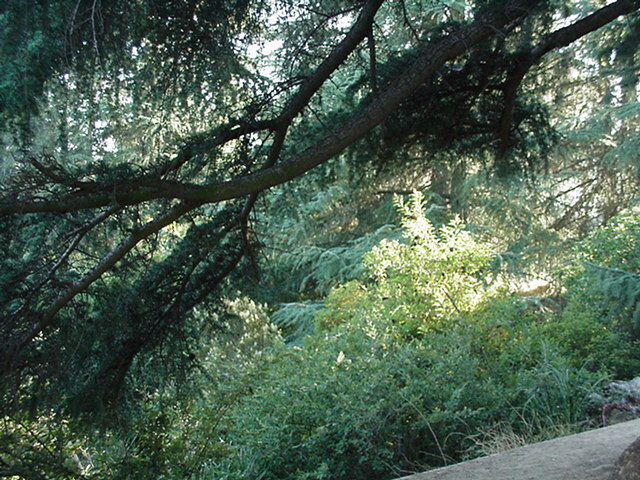 These are digital photographs I snapped using a Sony Mavica digital still camera (MVC-FD-88) with built-in digital zoom (telephoto). Feel free to use them as you will. If you use them for commercial purposes I assume you'll discuss that with me. One thinks of Los Angeles as urban, particularly the triangle of Hollywood with its tacky glitz, Beverly Hills with its thirty-million-dollar mansions, and the endless wide streets lined with strip malls. But at the north edge of it all are the Hollywood Hills and the Santa Monica Mountains. In the hills are deep, odd, secluded valleys. So. Turn right off Sunset at Rexford, and go uphill only a few blocks. Turn left at Coldwater Canyon Park. 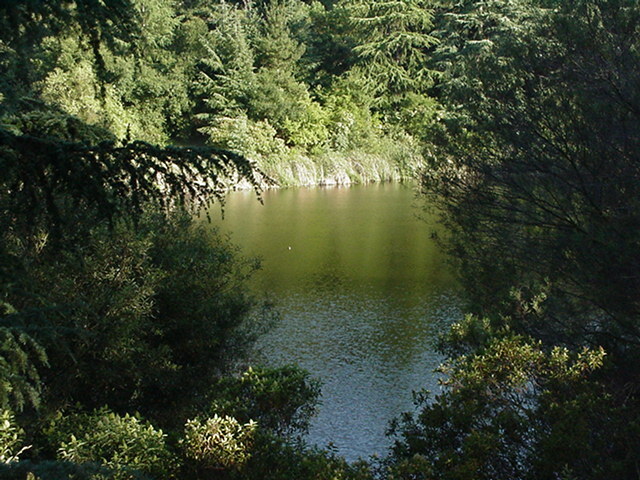 Within a few hundred feet you'll be in Franklin Canyon, a thousand or more acres of wild scrub and live oak trees. It's totally silent. Within a mile or two there are four major film studios, and the most expensive homes in the country piled on top of each other choking the hills, and Hollywood with all the tourists and souvenir shops just one mile east. 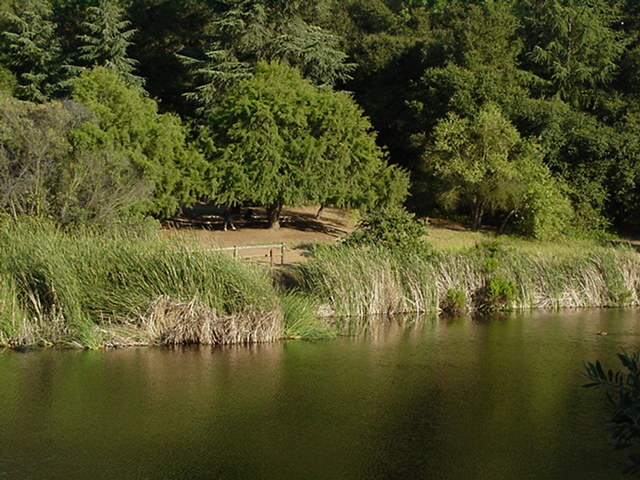 And here is Franklin Park Lake, built as a WPA project in 1940 and just sitting there quietly. Last week was the American flag at the corner of Laurel Avenue and Sunset Boulevard. This week, which includes the 14th, shows you another flag, for obvious reasons. Paris in June, a few years ago. A hot, hazy summer afternoon. 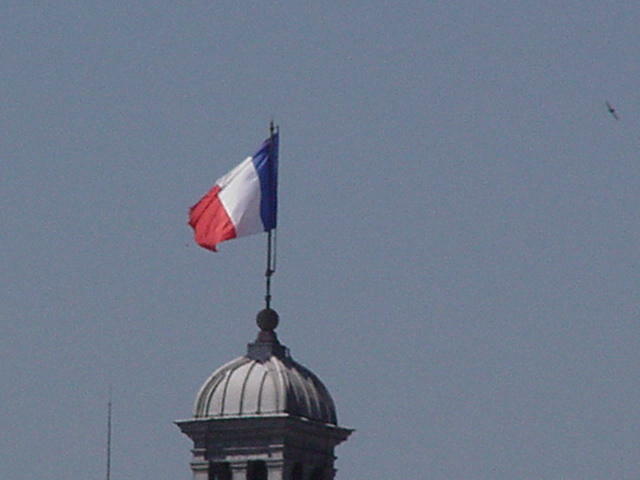 The top of the building where the French Senate meets. I believe these folks used to be our friends and allies. Some of us believe they still are. Not a very good picture but I hope you get the idea. My neighbor Claudine, the woman from Toulouse who became an American citizen and loves Hollywood, called me this morning. 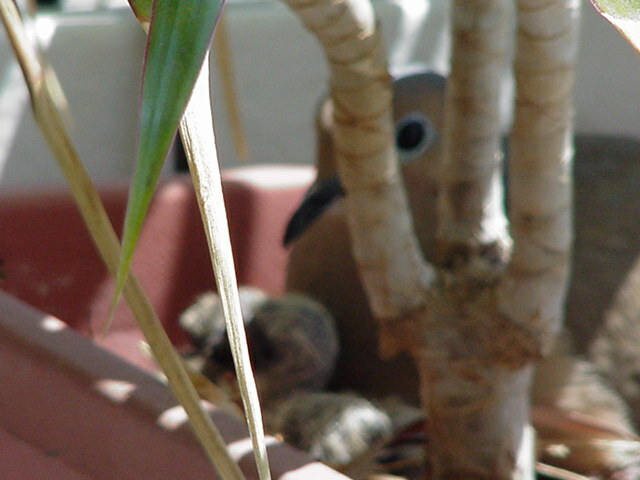 The ringtail dove that had nested on her balcony in the dracaena maginata has produced two little chicks. Here's the new mom and the kids. Born (hatched?) in the last twenty-four hours. 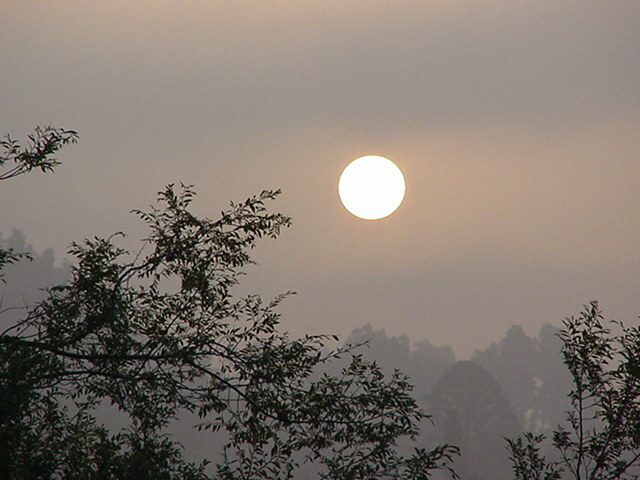 And below, a typical sunrise here, just above Sunset. The marine layer from the Pacific Ocean a few miles away makes the Holywood Hills look a bit like a Chinese landscape painting each morning. One thinks of the Southern Sung Dynasty (1127-1276) - particularly the landscapes of Hsia Kuei (active 1180-1230)... or one doesn't.